Today we are barraged with information and “healthcare news” from many sources. This information can often be confusing, misleading, or simply incorrect, leading people to healthcare professionals to find clarity and truth on health topics. As a physician, I am frequently asked questions concerning dementia. Let me share with you some of the common questions I receive and my answers to those questions. Dementia manifests itself as a mental, emotional, and physical loss that is insidious, irreversible, slowly progressive, and eventually fatal. Whether you have been caring for your elderly parent for some time or are just getting started on your caregiver journey with them, it is probable that you have heard the term “dementia” and had moments when you were concerned about this condition impacting your parent. By educating yourself and knowing as much as you can about dementia, you can tailor your care approach to help your parent reduce the risk that they will develop one of the forms of this condition and to give them the best care you can should such a concern arise in their later years. This starts with knowing the types of dementia. Dementia is a family of diseases with many causes, forms, and types. 2. Vascular Dementia: The second most common form of dementia, Vascular Dementia, also called Stroke Dementia, occurs after a stroke or other cardiac episode. It accounts for approximately 10 percent of dementia. 3. Pick’s Disease: Also called Fronto-Temporal Dementia, this type of dementia occurs due to changes in the frontal temporal lobe of the brain. The most common symptoms of this form of dementia are behavioral changes and language difficulties. 4. Lewy Body Dementia. This type of dementia occurs when the brain develops clumps of a specific protein referred to as alpha-synuclein. 5. Parkinson’s Disease: Usually considered a disease that impacts the physical functioning of an elderly adult, Parkinson’s disease often features an element of dementia. This is a progressive form similar to Alzheimer’s disease but features physical changes that are similar to those of dementia with Lewy bodies. 6. Creutzfeldt-Jacob Disease: Also referred to as Mad-Cow related dementia. New statistics released from the World Alzheimer Report estimates that 35 Million people worldwide have been diagnosed with dementia, and this number is expected to reach 115 Million by the year 2050. In the United States, a person is diagnosed with some form of dementia every 70 seconds (approximately the time it will take you to read this article). Alzheimer’s and other forms of dementia affect many aspects of daily life. As the disease progresses, it impacts an individual’s senses, emotions, behavior and the ability to communicate and perform daily functions. For family caregivers, it’s often difficult to understand exactly how the disease affects the brain, but once it is understood, caregivers can find better ways to accommodate the disease to provide quality and customized care for patients and loved ones. Anosognosia is a term used to describe an individual’s lack of awareness that he or she suffers from an ailment. Dementia affects the portion of the brain responsible for reasoning, preventing many patients from recognizing the changes in memory and other common symptoms of dementia. Tip: In many cases, patients will refuse medications and/or assistance. Instead of forcing them to understand, approach the situation in a supportive and non-confrontational way. Lessen their load by providing assistance with daily tasks and encourage them to take medications regularly. Agnosia is a term used to describe a person’s inability to recognize and respond to familiar faces, objects, scents and sounds (despite being in, otherwise, good health). They may not recognize caregivers or children, use objects improperly, or confuse similar sounds with one another. Tip: Use nonverbal cues to assist the patient with common tasks. For example, a patient may see a fork, but not be able to recall what it is used for. Placing a fork in the patient’s hand and guiding him or her through the movements is a gentle reminder of how a fork is used. Aphasia is a term used to describe an individual’s loss of communication and language skills, including the ability to read, write, speak, etc. When this occurs, it’s important for caregivers to remain supportive and find alternative ways to communicate using both verbal and nonverbal methods. Tip: Keep sentences short and simple, asking only ‘yes or no’ questions; reduce distractions in the environment to promote concentration, and express patience. Music and Art can also be used to engage patients, even after verbal communication has been lost. As dementia progresses, patients lose their ability to perform common tasks that require coordination. For example, an individual may be able to move his or her arms, hands and fingers; however, he or she may not remember how to tie a shoe or button a shirt. Tip: Simplify the process of activities and caregiving duties (such as bathing, toileting, and grooming) by minimizing distractions; providing clear, step-by-step instructions; and updating the patient’s wardrobe with slip-on shoes, elastic pants, and pull-over shirts. Apathy is one of the most common psychological problems associated with dementia and is often mistaken for depression. Many times, patients with dementia lose interest in certain activities but will participate if prompted by someone else. Tip: Encourage your patient or loved one to participate in activities that you initiate, whether it’s playing a game, baking, or listening to music (where active participation is not required). In the early stages of dementia, short-term memory loss is common. Patients may find themselves having trouble remembering recent events and acquaintances. As the disease progresses, this memory loss becomes more pronounced and long-term memories become even more difficult to recall. Tip: Use memory aids like diaries and activity logs; create routines to help patients remember daily tasks; and repeat information as needed (without stating that it was already provided and forgotten). Alzheimer’s and other forms of dementia may alter an individual’s perception of reality and their surroundings. For example, many patients experience changes in their depth perception, making it difficult to judge how near or far something is. Many individuals also experience hallucinations or episodes of paranoia. Tip: To reduce confusion and injury, be mindful of the patient’s fears and concerns, taking into consideration the placement of furniture and household objects and the use of colors, patterns, and lighting. Statistics show that nearly 360,000 new cases of dementia are reported each year, some of which are falsely diagnosed. The reason: often times, seniors may exhibit dementia-like symptoms such as confusion, disorientation, impaired judgment, and insomnia. While these symptoms are common indicators of dementia, there are a number of health conditions that share these symptoms – many of which may be reversible. Take a look at some of the most common conditions that are often mistaken for the early stages of dementia. 1. Adverse Drug Reactions: According to the FDA, adverse drug reactions affect nearly 350,000 nursing home patients every year. When certain medications are combined with one another, the interaction may cause dementia-like symptoms such as dizziness and forgetfulness (among others), leading to a potentially false diagnosis. For this reason, it’s important to always carry a list of current medications (including over-the-counter supplements) and to ALWAYS consult a physician or pharmacist before accepting a new prescription. 2. Depression & Other Mental Health Conditions: Depression and other mental health conditions have been known to cause cognitive impairment including difficulty thinking, confusion, social withdrawal, and other changes in one’s reasoning and behavior. For seniors, depression is common (affecting nearly 6.5 million seniors every year) and the development of these symptoms may often lead to a misdiagnosis of dementia. If your loved one exhibits signs of depression or sudden changes in behavior and mood, be sure to seek the help of a professional. A thorough examination may be the best way to determine whether these symptoms are caused by depression or something more serious (dementia). 3. Urinary tract infection (UTI): Urinary tract infection (UTI) is a common cause of misdiagnosed dementia and it accounts for nearly 25-30% of all infections in seniors. The symptoms of UTI are very similar to dementia, causing delirium, confusion, memory problems and even hallucinations. For seniors, these symptoms are not always obvious (they rarely cause pain) which makes it difficult to detect. If left untreated, the infection can spread to other areas of the body including the kidney, leading to serious (and potentially fatal) complications. According to research, the single best indicator of UTIs among seniors is a sudden change in behavior. If your loved one exhibits any of these symptoms, consult a physician immediately. 4. 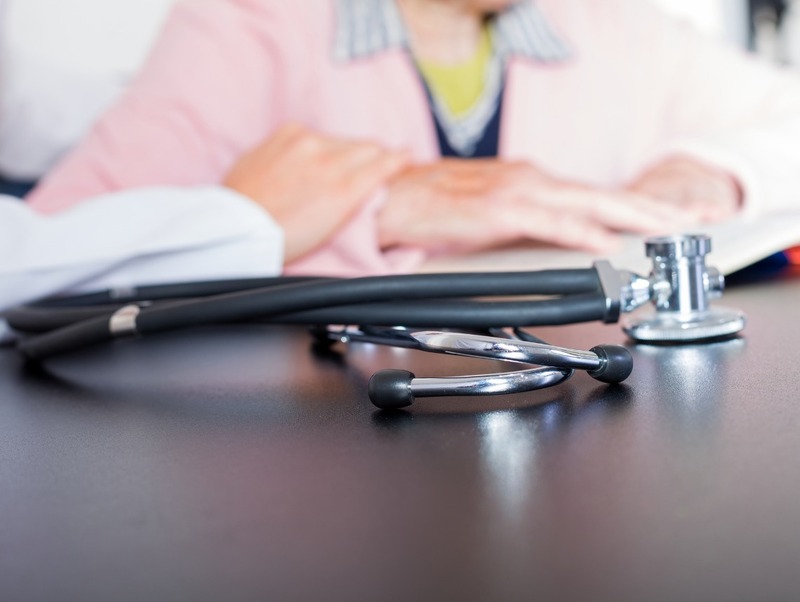 Thyroid Condition: Thyroid disorders are often mistaken for the early stages of dementia simply because the symptoms of both are very similar – causing a senior to feel anxious, forgetful and fatigued. Just like a UTI, the symptoms may not be obvious to seniors which may lead to a misdiagnosis of dementia. To prevent these symptoms from recurring or worsening, it’s important to have your loved one’s thyroid levels checked. Doing so will help determine whether the cause of these symptoms is related to a thyroid disorder or some form of dementia. 5. Nutritional Deficiency: Nutritional deficiencies (like vitamins B, C, and E), along with other health conditions like hypertension and diabetes, have been known to cause dementia-like symptoms, especially in older adults. When our bodies receive insufficient nutrients, the brain loses its ability to function properly, often causing symptoms similar to those associated with dementia (confusion, impaired judgment, agitation, etc.). To ensure these (and other serious health problems) do not occur or worsen, be sure your loved one’s diet is complete with all essential nutrients – but ALWAYS consult a physician or dietitian before changing your or your loved one’s diet. Before accepting a diagnosis of dementia, don’t be afraid to reach out to your loved one’s physician and rule out any of the above conditions. When discovered early, many of these can either be treated or managed, preventing dementia-like symptoms from occurring or worsening. A dementia diagnosis can be devastating for families and the knowledge, resources, and emotion required to care for a loved one with dementia can be overwhelming. You may not be in the position to provide the necessary level of care, but we’re here to help. No. Because dementia has so many different causes the hope that there will be one treatment or one cure for all dementia types remains highly unlikely. Currently, all dementias are considered fatal. However, global massive research continues with the hope and goal of effective treatments and cures. Is Dementia a Natural Consequence of Getting Old? No. If this were true, every person over the age of 65 would have some form of dementia. Reassuringly, we have great evidence that many people live well into their 80’s, 90’s, and beyond without any signs of dementia. Can Being Bilingual Delay the Onset of Dementia? Can speaking more than one language delay the onset of dementia? One group of researchers believes that it can. A recent study was conducted to determine the relationship between bilingualism and the onset of dementia – and the results are eye-opening. Researchers took 648 patients (391 of them were bilingual) with some form of dementia (Alzheimer’s, frontotemporal dementia and vascular dementia) and compared the ages at which patients in the two groups experienced the first symptoms of dementia. They examined the number of languages spoken, level of education, occupation, and other variables that might impact the results. What they found was shocking – on average, bilingual patients developed dementia nearly 4.5 years later than those who only spoke one language. Alladi believes that being able to speak more than one language helps to develop areas of the brain that handle executive functions and attention tasks, which can help protect individuals from early onset of dementia. To learn more about the study or to access the full article, visit the American Academy of Neurology. Where Is the Best Place to Care for People with Dementia? There is no one right answer to this question; each family has its own unique set of dynamics to consider. In the United States, dementia care has generally been provided in a nursing facility or by family members or private duty caregivers in the home. If the number of people with dementia continues to multiply as predicted, the demand will increasingly outnumber the beds available in facilities. At the same time, economic realities may force family members to continue working outside the home, making them unavailable to stay at home to care for their loved one with dementia. As a result, a paradigm shift in caregiving options may be required. In the meantime, most experts agree that, whenever possible, keeping the individual in familiar surroundings with daily contact with family and friends is a compassionate choice. As a physician and a humanitarian, I concur. Until a cure is available, surely mankind deserves care, comfort, and compassion in one’s own home whenever possible. What Do I Do If My Parent Is Showing Signs of Dementia? If your parent’s behavior, personality, memory, or cognitive functioning have changed, do not hesitate to get in touch with their doctor to discuss your concerns. They can evaluate your parent and give them an accurate diagnosis so that you can work together to come up with a course of management and care that is right for them. If your elderly parent has been showing signs of dementia or has been progressing through the condition and has been experiencing challenges and limitations that have increased to the point that you feel they would benefit from additional support, now is the ideal time for you to consider elderly care for them. Having an elderly home care services provider in the home with your elderly loved one is an exceptional way to ensure that they get the customized level of care, support, encouragement, and assistance that they need as they progress through their dementia. Regardless of the type of dementia that your parent is suffering, the highly personalized services of a senior care provider are designed to address their individual symptoms while also respecting their individuality, personality, lifestyle, and goals. This means that they are able to remain safe, healthy, and comfortable while also maintaining as much independence, activity, and fulfillment as they age in place. As their family caregiver this can give you a tremendous sense of confidence and peace of mind knowing that whether you are able to be with them or not, your loved one is getting everything that they need to maintain their quality of life as much as possible as they age. At Sonas Home Health Care, you’re never alone. We refer loving and qualified caregivers and nurses to provide expert Alzheimer’s and dementia care, from a few hours a day to around-the-clock care. Contact us directly or Request a Free In-Home Assessment. Together we can determine the right plan of action for your loved one.